Earlier this year the Obama administration announced the expansion of the 2012 Deferred Action for Childhood Arrival (DACA) program, creation of the new Deferred Action for Parental Accountability (DAPA) program, and several other executive changes to the US immigration system. In response twenty four states, led by Texas, have filed suit against the Obama administration. Their alleged concern is that the policy change will cause them to extend benefits to illegal aliens. This claim is not without warrant. Deferred Action not only grants recipients work permits, but also ‘legal presence’ which might make DAPA recipients eligible for some welfare programs depending on the state in question. I sympathize greatly with open border critics whose concern is over the fiscal cost of migrants. Indeed, if the states involved in the lawsuit were acting solely with the goal of addressing the fiscal cost of illegal aliens I would wish them the best of luck. However once you start looking at the data it becomes clear that the fiscal cost of illegal aliens is not the reason why these states have elected to file their lawsuit. If the fiscal cost was so great we would expect those states with the largest share of the illegal alien population to be leading the fight. Yet California, housing 22% of all illegal aliens in the US, is notably absent from the lawsuit. Indeed most of the states involved in the lawsuit have a tiny portion of the nation’s illegal aliens. At time of writing the following states have joined the lawsuit: Alabama (1%), Arizona (4%), Arkansas (0%), Florida (7%), Georgia (4%), Idaho (0%), Indiana (1%), Kansas (1%), Louisiana (1%), Maine (0%), Michigan (1%), Mississippi (0%), Montana (0%), Nebraska (0%), North Carolina (3%), South Carolina (0%), North Dakota (0%), Ohio (1%), Oklahoma (1%), South Dakota (0%), Texas (14%), Utah (1%), West Virginia (0%), and Wisconsin (1%). 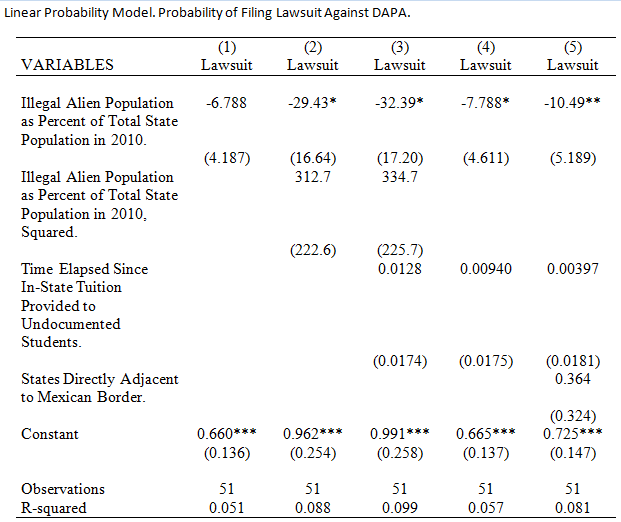 I have constructed and included below a linear probability model, and probit model, where I find the probability of a state having filed lawsuit given its illegal alien population as a percentage of its total state population. If fiscal cost is a significant motive then we should expect a positive correlation, with those states with a large illegal alien population being more likely to have signed onto the lawsuit. My findings? There is negative, albeit very weak, correlation. That is to say that states with a larger portion of their population as illegal aliens are less likely to have filed the lawsuit. None of this should be taken to mean that the fiscal cost of providing welfare to migrants should be ignored. Migrants are already disqualified from most federal welfare benefits, but several states could reform their local welfare benefits nonetheless. If excluding migrants from welfare benefits is not politically feasible then they should at least be made to pay state taxes in order to allow states and other local governments to recoup some of their loses. Estimates of illegal alien counts come from the Pew Research Center (Table A3). 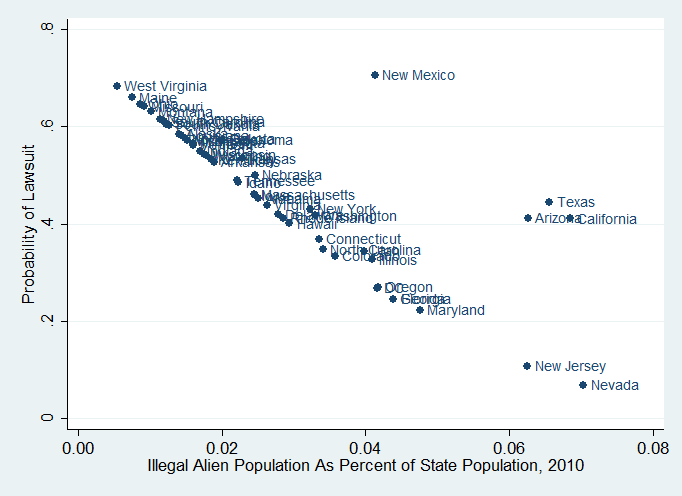 Data set modified from John Lee’s earlier post on comparing US states by their illegal alien population. Open Borders: The Case page on Political Externalities. Zachary Gochenour and Alex Nowrasteh on the Political Exernalities of Immigration. Last Thursday, President Obama announced several measures to liberalize U.S. immigration policy by executive action. First is an expansion of the program initiated in 2012 which gave quasi-legal status to undocumented youth, Deferred Action for Childhood Arrivals (DACA). The age limit for qualification for DACA has been removed, and the date before which an applicant must prove he or she entered the U.S. has been moved from 2007 to 2010. DACA-style benefits will also be extended to undocumented parents of U.S. citizen or permanent resident children who have been in the U.S. since January 1, 2010, and have not been convicted of certain crimes. This new program for parents will be called Deferred Action for Parental Accountability (DAPA). The White House estimates that these two reforms, along with an expansion of waivers for family members of U.S. citizens and permanent residents who are currently ineligible for green cards and reforms to certain employment visas, will protect about five million people from deportation. That’s in addition to the nearly 600,000 who have already benefited from the DACA program. Vivek Wadhwa believes the changes to employment visa processing will be good for immigrants and tech companies that rely on immigrant labor. Prerna Lal and Dara Lind both posted helpful summaries of the deferred action programs. Applications for DAPA will not be accepted for another six months. The Department of Homeland Security concurrently made changes to its guidelines on enforcement priorities which will become effective in January. The new guidelines will penalize recent entrants and those convicted of certain crimes, while deprioritizing people who had been deported and reentered the U.S. prior to 2014. 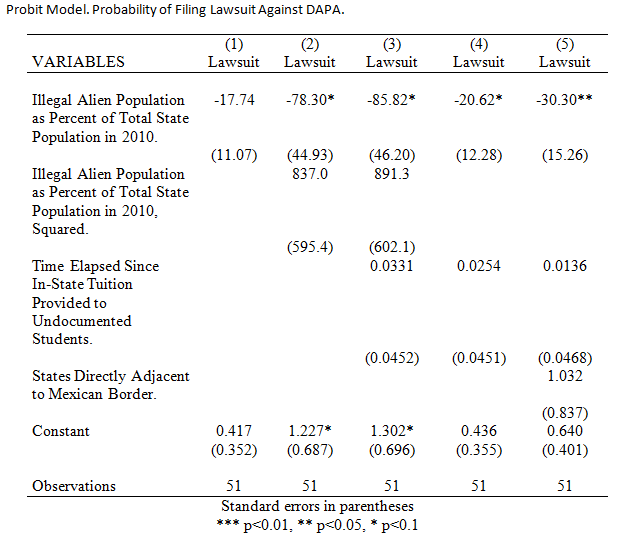 As Dara Lind noted, DACA was an improvement over earlier failed prosecutorial discretion initiatives because the program “has demonstrated that formalized protections work much better than vague promises.” Like DACA and Temporary Protected Status, a type of executive humanitarian relief, once granted, DAPA is unlikely to be taken away. The government emphasizes that deferred action is completely discretionary and can be revoked at any time and for any reason. In practice, it is very unlikely that President Obama would rescind or significantly restrict these discretionary programs once they are implemented. It is harder to take something away than to never grant it in the first place. DACA beneficiaries have been able to come out of the shadows, integrating into communities, making their status known to more people, and becoming more active politically. While excluded from the franchise, the moral power they possess as victims of systemic oppression amplifies their voices. It will be difficult politically for Congress or an antagonistic president to rescind DACA or DAPA in the foreseeable future. Any presidential candidate who runs on a promise to rescind the programs will lose the Latino vote by a large margin, effectively dooming his or her candidacy. These programs are here to stay and will hopefully be expanded further. The deferred action program has serious flaws. President Obama’s announcement fell far short of what activists had hoped for. The DAPA program excludes parents of DACA beneficiaries. The program leaves out anyone who has already been deported and prioritizes enforcement against those who try to come back to rejoin their families in the future. The president’s “Felons, not families” messaging is a slap in the face of communities of color targeted by an unjust criminal justice system. Queer immigrants are less likely to have U.S.-born children than hetero immigrants and hence less likely to qualify for the program, and agricultural workers were not included. The number of DAPA beneficiaries will likely be much lower than projected. A good rule of thumb is to divide by half the projected number of beneficiaries to get the true number. 1.2 million people are purportedly eligible for protection under DACA, but after two and a half years, fewer than 600,000 have actually navigated the process successfully. This is due to the difficulty of documenting presence when one is undocumented, high filing fees, disqualification for minor criminal convictions, lack of reliable legal services, and ingrained distrust of the government. DACA applicants have advantages in navigating the system that many older immigrants don’t have: most speak English and have been able to access information and resources online. But even many undocumented youth have been unable to apply for DACA or have had applications denied, though they are technically eligible for the program, because they have been unable to prove physical presence in the U.S. I expect this to be an even bigger factor with parents, since they will not have school records, as many DACA applicants did. It can be difficult to document your life when you are undocumented, but that is what the government requires. Many people have been living in a way so as to escape detection. Many have been unable to open a bank account, get a loan, buy a car, get health care, or do any number of things that middle class citizens take for granted that would create a paper trail. Now the government wants ironclad proof that applicants were here since a date certain, and too often begins with the assumption that evidence presented is fraudulent. Whether it is acknowledged or not, the Department of Homeland Security’s primary mandate is to deport people. U.S. Citizenship and Immigration Services (USCIS) is the agency within DHS tasked with adjudicating DACA and DAPA applications. When reviewing applications, USCIS too often looks for reasons to deny rather than reasons to approve. The pattern with this administration has been to announce a policy reform that is supposed to benefit the undocumented community. By the time the policy is implemented, the cameras have turned away and DHS reverts to norm, denying applications for lack of evidence or using discretion against rather in favor of an applicant. The DAPA program will exclude a large number of people with criminal convictions regardless of family ties or length of presence in the U.S. Convictions that might result in minor penalties for citizens, like a first-time DUI offense, categorically disqualify potential applicants. A third misdemeanor offense of any kind is a ground of ineligibility, which will screen out some undocumented activists who have participated in multiple civil disobedience actions. In addition, as Dara Lind points out, for political reasons, the government may send contradictory messages about the program to applicants: “that they should apply now because the program is safe, but that it could be taken away at any time” by Republicans. This may discourage people from applying, especially since this president has deported more noncitizens than any other. In all, I estimate that only two to three million people will be approved under the DAPA program, far below the five million projected by the White House. This may undercut the political benefits meant to accrue to Democrats as the shortcomings of the system once again come to the fore. While the new programs are a flawed and partial remedy, and will make things worse for some people, obtaining benefits under the programs will be life-changing for many people. They will be able to work legally and live without fear of immediate deportation. They will become more visible and further integrated into their communities. So, under these conditions, what can we expect going forward? Deportations are likely to continue at a historically high rate. The federal government is likely to continue deporting large numbers of people because DHS’s new enforcement priorities still cover more than enough people to maintain ICE’s existing deportation quota of about 400,000 per year. Unnecessary imprisonment of noncitizens will continue as the so-called bed mandate remains in place, which DHS construes to require it to imprison 34,000 immigrants at any given time for civil immigration violations. Operation Streamline, the federal program to criminally prosecute, jail, and deport immigrants crossing the border, is still in place. Many of those convicted through Operation Streamline were arrested while trying to rejoin families in the U.S., and now face 20-year or, in some cases, lifetime bars on returning to the U.S. The new enforcement priorities escalate the government’s punitive response to refugees fleeing violence and corruption in Central America. The administration is going ahead with plans to construct the largest immigration prison in the country, primarily to jail refugee women and children until they can be deported. The president’s initiative calls for 20,000 additional border officers, though the mechanism for funding those officers is not yet clear to me. [W]hile the potential size of the program is large, it is nevertheless only a fraction of the approximately 11 million undocumented aliens who remain in the United States each year because DHS lacks the resources to remove them; and, as we have indicated, the program is limited to individuals who would be unlikely to be removed under DHS’s proposed prioritization policy. There is thus little practical danger that the program, simply by virtue of its size, will impede removals that would otherwise occur in its absence. Mark Noferi of the American Immigration Council notes that deportation numbers may remain high due to an increased use of expedited removal at or near (within 100 miles of) the border and the high-by-historical-standards levels of funding for immigration enforcement. Given the low percentage of people I expect to successfully complete the process, seven to eight million undocumented people will likely still be in limbo, at varying degrees of risk of deportation. The deportation machine has been built and is running smoothly. It won’t disappear just because the president has placed some people off limits. DHS may now go after those who are not protected more aggressively than before. Political divisions around immigration will become more entrenched. The political dynamics that pushed the president to announce the deferred action measures are likely to persist. Legislative reforms are not on the horizon, and additional discretionary measures will be the only viable form of relief for the foreseeable future. The polarization and political salience of immigration policy will only deepen. After the 2012 general election, I had begun to believe predictions that demographic changes in the electorate would inevitably lead to broad legalization relatively soon. Given the demands of the two-year election cycle, House Republicans might succumb to the temptation to demagogue immigrants. But, the thinking went, more reasonable voices in the GOP would prevail as the party looked ahead to 2016 and the prospect of failing to win the White House and the Senate. I read with interest Tim Dickinson’s analysis of Karl Rove’s political strategy in 2010 of winning state legislatures in order to reshape House districts more favorably for Republicans. Dickinson and others predicted that the strategy of spreading GOP voters among a larger number of districts–turning more districts red, but a lighter shade of red–would eventually backfire as the proportion of Democratic voters grew and turned the districts blue again. However, others rebutted this theory, arguing that the concentration of Democratic voters in urban districts, combined with the increased polarization of the electorate, provides Republicans with a structural advantage in the House that could forestall demographic electoral benefits to Democrats in that chamber for many years. The Democrats’ demographic weaknesses in midterm elections become strengths in presidential elections. In elections where there is a high percentage of Latino voters and a sharp distinction between candidates on immigration policy, Democrats hold the advantage. This held true for Harry Reid in 2010 and President Obama in 2012. By announcing and implementing the new deferred action programs, the president may have secured the White House for the Democrats again in 2016. Arguably, this was the only way not to lose it. GOP base voters, who are older and whiter than the electorate as a whole, view the demographic changes brought on by the liberalization of immigration laws in 1965 as an existential threat to the party and the country. They will not willingly compromise on this issue, and will punish Republican candidates who do not take a hard line. The base has now defined amnesty as any liberalization of immigration policy. While the GOP establishment beat Tea Party candidates in most cases this election cycle, the exceptions, such as Eric Cantor’s surprise primary loss to restrictionist-leaning David Brat, pushed even mainstream candidates far to the right on immigration policy. GOP Senate candidates Scott Brown and Tom Cotton ran on the urgent, yet mythical, threat of Ebola and ISIS overrunning the southern border. This in turn pushed Democratic politicians to take ridiculous positions, such as Kentucky Senatorial candidate Alison Lundergan Grimes’s accusation that Mitch McConnell had supported amnesty. Even one-time children’s rights advocate Hillary Clinton urged the government to deport refugee children who had crossed the border. I believe that the GOP’s populist base will push the party to fight broad legalization until the party is overwhelmed by brute electoral force generated by the demographic tipping point as nonwhites become a majority in the U.S. This tipping point may be the most momentous political event in the U.S. in the coming decades, aside from possibly climate change. I believe immigration policy will track that broader demographic event. Until the political environment acknowledges the changing demographics (which, given California’s experience, should precede the actual demographic tipping point), individual GOP politicians will find political benefit–really, political survival–in opposing the legalization of undocumented immigrants. But by opposing legalization, Republicans will find it very difficult to win national elections. The Latino electorate is growing each year, while the proportion of white voters shrinks. Immigration policy is a highly-salient issue for many Latino voters. The strategy of some Republicans will be to oppose the deferred action programs while claiming to support legislative legalization. GOP candidates who take this position will likely face primary challenges from the right. Meanwhile, many Latino voters will oppose any candidate who threatens to rescind the programs. This dynamic places the national GOP at a disadvantage, while also creating a hostile environment for comprehensive immigration reform. If it’s true, as Talking Points Memo proposes, that Democrats won’t be able to win the House back until at least 2022, and the GOP views legalization of undocumented immigrants as an existential threat, then the U.S. may not see broad legislative legalization for another eight years or more. Further reforms are likely to come from the executive before they come from Congress. Because there are many shortcomings with the new executive measures and deportations may continue at a high rate, many immigrant rights activists will continue to criticize the president’s deportation record. In fact, some undocumented activists interrupted the president during his speech announcing the program in Las Vegas to ask why he left their parents out. The administration’s response to both pro and anti-migrant critics has been “pass a bill.” However, because of the factors I described above, it is unlikely that Congress will pass a bill in the next several years. This is why the most likely avenue for further expansion of immigrant rights in the U.S. is through further executive action from President Obama or the next president. I hope to see more immigration civil rights litigation in the courts, which have historically been an important part of civil rights advances. However, the courts move slowly, and Congress and the president have for years strengthened the immigration system’s immunity to attack in the courts. The legal justification for the deferred action programs rests in the ample discretion of the executive in matters of immigration and foreign policy. The president may have regretted his claim last year that he had no authority to stop deportations beyond the DACA program. The White House took greater care this time to insulate itself from future demands to expand the deferred action programs, but it is already being asked to do just that. The White House took the unusual step of making public the memo from the Office of Legal Counsel setting out the legal arguments for the DAPA program and against expanding the program to parents of DACA beneficiaries. The latter argument rests on dubious legal grounds that would have also precluded the initial DACA program. The OLC memo may cause the president or his successor problems down the road, as organizers pressure them to expand deferred action to parents of undocumented youth. The increasing convergence and formalization of prosecutorial discretion immigration policies makes them more vulnerable to challenge by opponents. Offloading immigration policy into the realm of discretion is a function of the increased power of the executive vis-a-vis Congress, growing political polarization, and an immigration regime widely seen as morally illegitimate. Prosecutorial discretion works for immigrants when the president feels magnanimous, but not when he is the Deporter In Chief. Oppressed people draw moral power from the fact of their oppression. 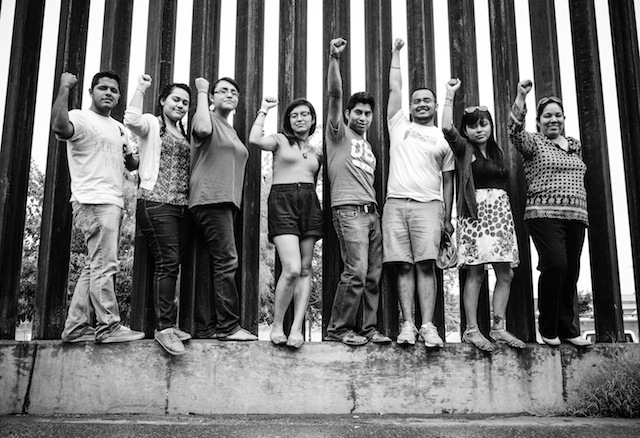 Even before the DACA program was announced, “undocumented and undeportable” organizers had carved out a safe space for themselves by coming out publicly, fighting deportation defense campaigns for their peers, and staging civil disobedience actions. Changes in immigration policy reflect and reinforce changes in norms, as the line between documented and undocumented has become more and more blurry. “Illegal means illegal” is no longer a useful or even accurate catch phrase. This incremental, quasi-legal progress may provide a template for immigration liberalization in other assimilationist countries. It’s a type of adverse possession: physical presence eventually leads to legal rights based on moral considerations. However, as is becoming more clear with respect to DACA beneficiaries, the deferred action programs also represent a step towards formal recognition of an underclass of workers who are legally, indefinitely excluded from full participation in U.S. society. This should remind U.S. citizens of the country’s shameful legacy of state-sanctioned stigmatization and exploitation of disfavored groups. The promise of legislative legalization has eluded advocates for at least 15 years. Executive relief will likely be the only viable form of formal protection for undocumented immigrants for the next several years. Claims that Obama can’t expand deferred action further will ring hollow, given that he said the same thing about the programs he just announced. Activists and advocates would do well to remember how unreliable both major political parties have been and how fickle a reform strategy that relies solely on electoral politics can be. Comprehensive immigration reform should not be the sole focus of immigrant rights organizing. Now is the time to escalate action beyond elections and Congress and to utilize unconventional strategies to highlight the moral incongruities of the immigration system. Here are some ideas for action (though the DAPA program makes #7 moot). The immigration system isn’t broken, it is working as intended. But it needs to be broken; we need to break it. The closed-border immigration system is a key element in a regime of global apartheid that mocks the ideals of justice, equality, and liberty. When we mourn those left out of the most recent reforms, let’s not forget those who’ve already been deported or who never had the chance to leave to pursue a better life. Executive Action, Not Legislative Reform, Is How U.S. Immigration Policy Gets Made Now is licensed by David Bennion under a Creative Commons Attribution 3.0 Unported License.